Cointed, an Austrain crypto currency service provider, is conducting an initial coin offering (ICO) to fund the business’s planned expansion. According to its website, Cointed wants to build a “bridge between the crypto currency world and the real world” by providing services to help users exchange crypto currencies for fiat currency. This piece is an analysis of the facts available about the Cointed ICO sale. It should not be read as offering any advice or a recommendation. While ICOs have quickly become a popular tool for funding projects and start-ups, the ICO is high-risk for token purchasers. ICOs currently have an unclear legal and financial status. Additionally, token buyers may find that their purchase does not offer them any security or equity in the company because the ICO is closer to a crowdfunding initiative than a traditional IPO. As such, any investor who plans to buy tokens during any ICO needs to obtain all relevant independent advice and carry out their own appropriate due diligence. Established in 2014, Cointed is a crypto currency service provider. It currently operates a crypto trading platform where users can buy and sell their crypto currency for fiat currency. The company also has crypto currency ATMS in Austria and other locations in Central Europe. According to the white paper, the company has had revenues in excess of 100 million euros over the last three years. The ICO is being used to raise funds for a planned international expansion. The money raised will be used to cover the costs of marketing, staff recruitment and the development of the company’s blockchain based services. The ICO commenced on 20 November 2017 and is scheduled to conclude on 28 February 2018. An ICO pre-sale was held between 20 October 2017 and 19 November 2017. According to the white paper, no other CTD tokens will be generated after the ICO period. As such, the entire supply of CTD tokens is available for purchase during the ICO. The website lists 11 team members who have experience in technology, marketing, sales and business between them. The Cointed ICO team is split between Hong Kong and Austria. The white paper also lists other companies that Cointed has partnerships with. As for advisors, I couldn’t identify who they are from the white paper or website. Cointed already has an active trading platform for crypto currencies in operation. Additionally, the company has Bitcoin ATMs in operation in locations across Central Europe. Individuals can use these ATMs to exchange cash for crypto currency and vice versa. The white paper outlines two other services that the company plans to offer users. The first is a crypto mining operation that uses sustainable energy sources. Secondly, Cointed plans to launch a payments service which will allow users to pay for goods and services using a crypto currency debit card. The white paper outlines Cointed’s business proposition, the ICO roadmap and the CTD token. 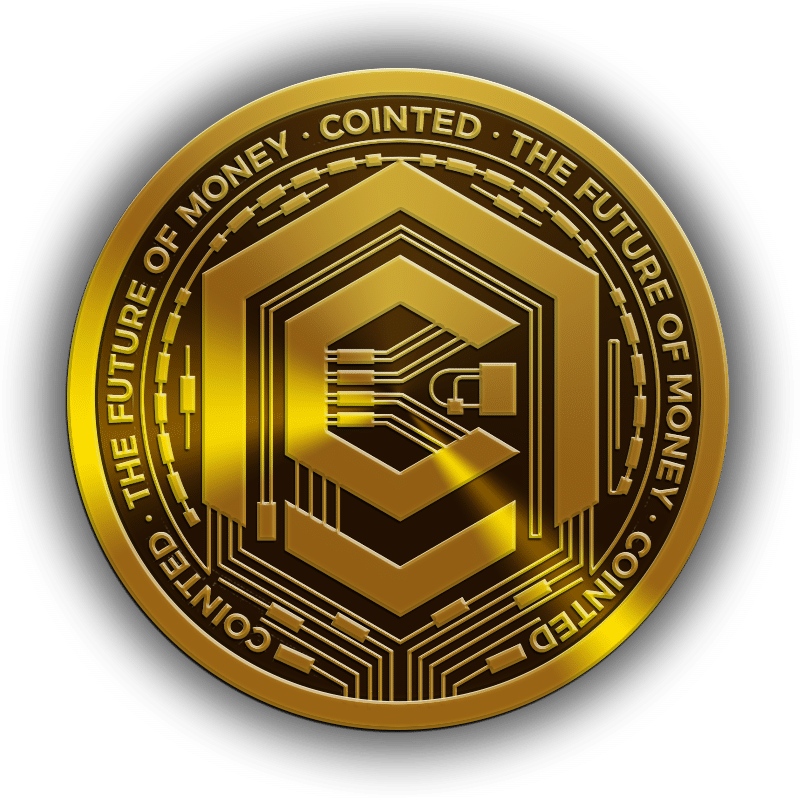 The Cointed token is a utility coin that offers no security to purchasers. The token would have several functions relating to fees and services within the Cointed platform. The white paper also suggests that a secondary market could develop for the token on crypto exchanges. Cointed is also in the process of applying for a banking licence. The roadmap sets out several targets for 2018. These include applications for Visa and Mastercard memberships, an application for an E-money licence and further development of the project’s ATMs and the crypto currency trading platform. The business plan itself outlines how the ICO will work, the marketing strategy and how the Cointed products would work within the fintech space. It appears to me that the business plan assumes that crypto services will expand quickly and be adopted widely by many users within the financial services sector. But the process of integration, if it occurs, is likely to take longer than anticipated. Cointed’s application for a banking licence, plans to launch a debit card and expand its ATM network suggest that the company intends to offer services to ordinary customers within the retail banking space. However, it remains unclear if there is yet sufficient demand for such services. Also, the process of regulatory approval to obtain licences to provide banking and e-money services can be quite long. Are there contingencies in place to respond to delays? Given that many regulators remain uncertain about Bitcoin and other crypto currencies, ordinary bank users and customers may prove even harder to convince in the short term. The Cointed ICO has its own specific website and social media channels. In common with other ICOs, these have a low level of engagement and activity. This may change as the ICO progresses. Cointed also has other social media accounts in English and German that relate to its existing business. For crypto currencies to integrate into the wider financial system, bridges are needed. Some of these links may take the form of services that allow users to exchange crypto currency for fiat currency. The Cointed white paper can be read here.